Take a peek at our favourite yoga studios from around the world! Learn about their core commitments, why we love them and how to find out more information about each studio. WHY WE LOVE: 889 brings true meaning to the word “Sanhga” or Community. It is really a gathering and meeting place that showcases some of the best yoga the city of Toronto has to offer. The entire space has been built out with a commitment to mindful environmental materials and practices making this a clean, safe space for all to practice. The Beginner Yoga Program is THE BEST! A 4-week workshop, limited in capacity, and designed to provide a true and holistic introduction to the practice in a very friendly and comfortable way. And then….there is the retail shop! So many reasons to LOVE 889! WHY WE LOVE:Exhale is truly one of the pioneers of the mind-body movement in city centres. They have made much of what many other studios now strive to bring to life possible as they opened up an entire marketplace that previously had not existed. Exhale was one of the original alternatives to the “Gym Movement” and their 26- locations continue today to provide some of the most progressive class offerings and styles in some of the most beautiful spaces and locations across the Continental US and Caribbean. WHY WE LOVE: Phenomenal Yoga in Phenomenal Spaces. Bright, airy, loft style buildings are home to some of the best teachers in the UK on a daily basis. triyoga also hosts some of the globes most recognized and sought after yoga teachers for specialty workshops and retreats. They continue to push the movement forward! WHY WE LOVE: Kula Yoga Project is the real deal. Hands down, some of the most talented teachers in the industry. The most creative classes & sequencing. In simple, understated spaces. You will take your practice to the next level…guaranteed. CORE COMMITMENTS:Since the doors opened in 1997, our main focus has been to inspire and encourage students in a life-long practice that is sustainable, enjoyable and in alignment with the yoga practice as a whole. Our community has been built on the diversity of our students, a kind and respectful atmosphere, and classes that are informed at every level of practice. 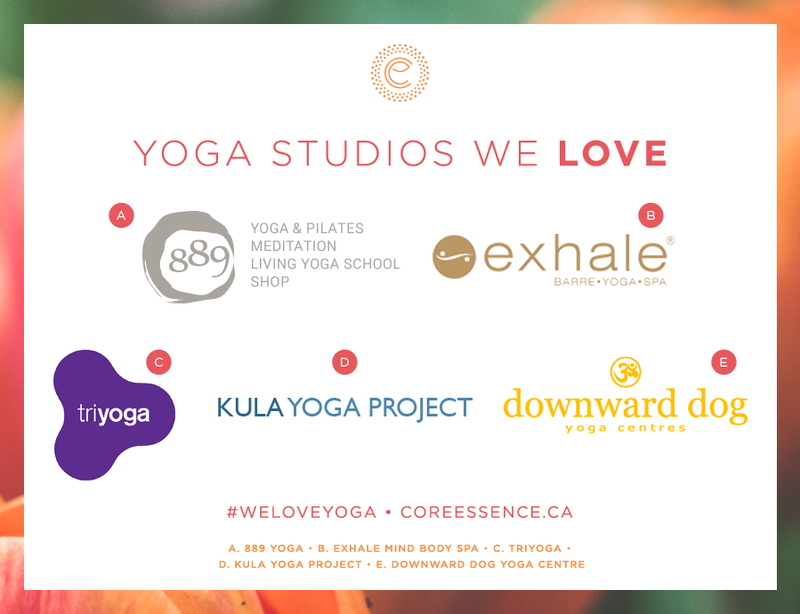 WHY WE LOVE: The original on the Toronto yoga scene. Downward Dog has trained the vast majority of the cities best teachers. The teacher training program as well as class instruction at Downward Dog offers an unparalleled attention to detail, alignment and the true multi-dimensional practice of yoga. And then there is Ron & Marla….enough said!